Who Deserves to Be Montreal's Next Captain? Who Deserves to Be Montreal’s Next Captain? With the midway mark of the season fast approaching, I thought it would be interesting to look at the leadership of the Montreal Canadiens so far this year. With four permanent alternate captains in PK Subban, Max Pacioretty, Tomas Plekanec and Andrei Markov along with Carey Price sitting in on the alternate captains’ meetings, there is a lot of leadership in the Montreal dressing room. With the recent passing of Jean Beliveau, one of the greatest captains in NHL history, it has sparked discussion to how the Habs have gone from having obvious choices to wear the ‘C’ to finally having seasons where they go without a captain at all. In naming the next captain, stalwarts like Plekanec and Markov have spent their entire careers in Montreal. 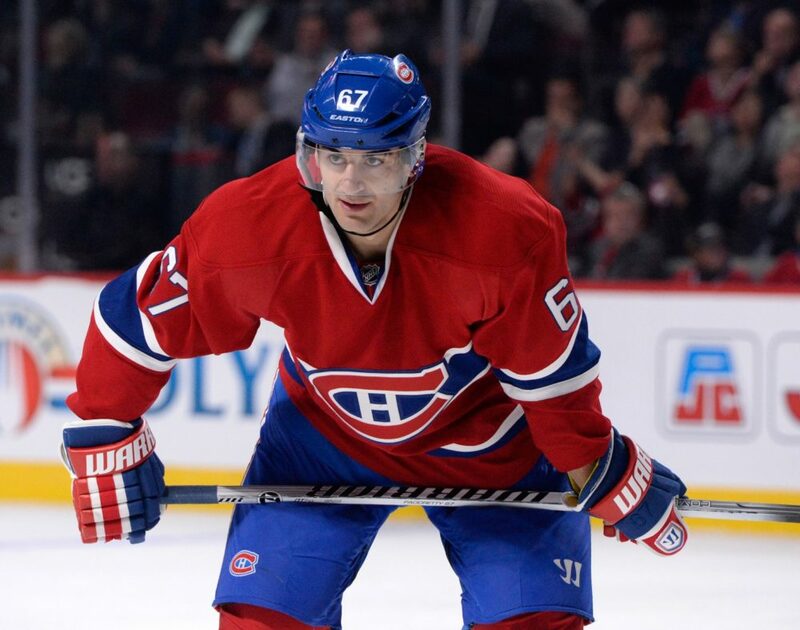 Markov has declined the captaincy in the past while it is unknown if Plekanec has ever been offered it. Both players have served as mentors and have played with countless youngsters over the years. Their style is lead by example and while they are expected to be leaders in the dressing room, it appears Montreal wants to go younger. Brandon Prust is another veteran guy that is well respected in the Montreal dressing room. He is definitely a vocal leader and has taken Alex Galchenyuk and Brendan Gallagher under his wing. In the case of Prust, he has worn the ‘A’ on a few occasions for the Habs but having a bottom six forward as the captain just doesn’t make sense. On the other hand, you’ve got someone like Carey Price who has eight seasons in the NHL so far and is the team’s MVP. He isn’t considered a young gun but he fits in well with the younger members of the team. In many ways, Price is the leader on the Habs as they go where he goes and has shown to be a leader on and off the ice. But stitching the ‘C’ on Price would be a huge mistake. Everyone saw how a goalie being named captain can be disastrous like when Roberto Luongo was given the ‘C’ in Vancouver. Price already has one of the toughest jobs in sports being the number one goalie for the Montreal Canadiens so the extra burden of the captaincy would do him no good. 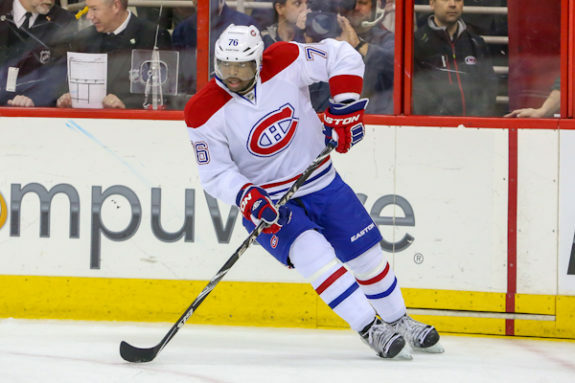 Price has his teammates’ backs and does his best despite their mediocre starts. With Subban and Pacioretty, they are the leading contenders to be the next captain. They are 25 and 26 years old respectively and both are on long term contracts. This year, both players have taken a step forward on and off the ice. Subban struggled at the beginning of year but has really picked up his play in the last little while. He is playing the most minutes, has sharpened up his defensive game and the offensive numbers are coming around. He is consistently available to the media and represents the team well off the ice. In addition, Pacioretty has really stepped it up too. He is the team’s best sniper by a country mile and he has become a dangerous part of the penalty kill, especially when paired with Plekanec. He has taken on a bigger role with the media by answering more questions and being direct with them. At the other end of the scale, you have Gallagher and Galchenyuk. Both players are young but aren’t strangers in having leadership roles. They wore the ‘C’ with their respective junior teams and they realize their importance to the Habs. Gallagher would be the underdog to be considered for the captaincy. Despite signing a nice long term extension, Gallagher has continued to give maximum effort every night and doing all the little things that win hockey games. In the case of Galchenyuk, he hasn’t been relied upon for a leadership role at the NHL level. It isn’t usual to see young captains around the league, but unlike most high picks, Galchenyuk didn’t go to a rebuilding team where he was relied upon right away. At this stage, I don’t think he is in the running for the captaincy though I wouldn’t be surprised to see a letter on his sweater one day. Based on everything leading up to this season and what has been shown so far, I think Subban has put himself in a nice position. After signing a nine year contract, Subban is committed to the Montreal Canadiens and has shown loyalty to them since he was a child. Many will say Subban isn’t mature enough for the role, but Subban has grown leaps and bounds since his rookie season. His flashy instinctive style makes him who he is as a player but his work ethic in trying to get better speaks volumes. He is very involved in the Montreal community and continues to be a very popular player. He is the guy on the defence corps now as Therrien relies on him more and more which says a lot due to Therrien being hard on Subban in the past. Subban isn’t perfect and doesn’t fit into the cookie cutter mold some want from him. But the fact is Subban exudes leadership qualities as he raises when his game when necessary and likes to challenge teammates to match him in intensity. We are only halfway through the year but so far Subban is showing he wants to be the next captain for the Montreal Canadiens.